The most unexpected praise came from the Café Parisien’s cook. Standing in the doorway of what’s often called the “art restaurant” in Artà, Mallorca, she gazed around the room and exclaimed: “Wow, it’s amazing how bright and lifelike these images are!” She had voiced her opinion on first sight of the artistic photos. The pictures – actually, photographs – show facets of New York City, one of the world’s greatest melting pots, set in the midst of a hidden romantic landscape in the Mediterranean. The man behind the camera was Norbert Schäfer, one of Germany’s most celebrated and recognised photographers in advertising. On his visits to Mallorca he reveals his second passion, that of an artist. His pictures are intended to open the door to the experience of what Norbert Schäfer calls “true seeing”. Norbert Schäfer is holding his “Parisien Mallorca” exhibition of “New York” in Artà, because – after a gap of several years – he rekindled an old friendship with: Isabel Bastidas Daura. 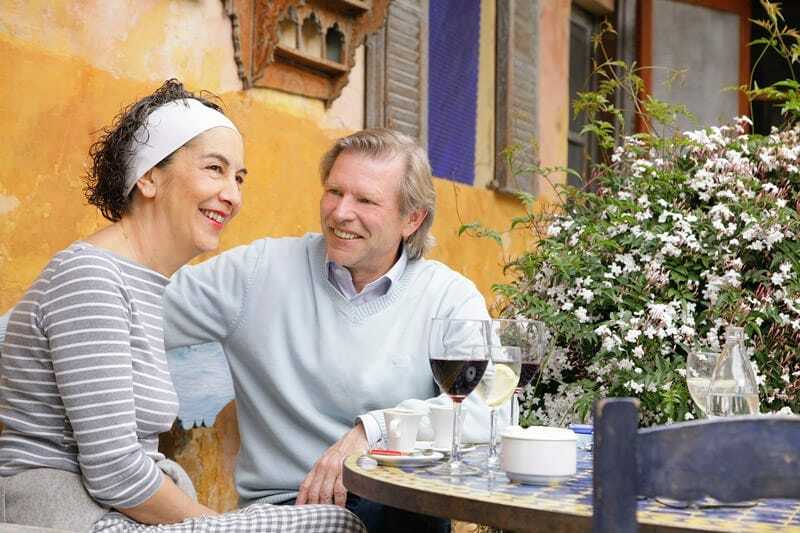 The Café Parisien’s owner and Norbert Schäfer have known each other since 1981. Their trust in each other is strong. Because of that friendship, Schäfer – or Norman Shepherd (he’s thinking about giving himself an artistic pseudonym) – has been given permission to use Isabel’s intimate art chamber. Above the Parisien, visitors can enjoy a spectacular view over the rooftops of Artà’s historic centre from this small room, shaped like a quadrangle and with walls painted in red. Standing inside you feel as though you could be in the fairytale of the 1001 Arabian nights! Broad sofas in the style of Oriental divans invite you to recline comfortably and relax. Exotic cushions, blankets, lamps and teapots bring Mallorca’s Mozarabic cultural heritage to life. Norman Shepherd knows Mallorca very well. For more than 26 years he has been coming here frequently. During all these years he mainly used the island’s magnificent scenery to take photos for publicity campaigns. Or he simply popped over for a quick break from his hectic job in Germany. Schäfer produces high-level photo campaigns for famous international brands and companies, such as Karamalz, Canon, Proctor & Gamble, and Corbis. Fulfilling these duties means applying great effort and perseverance and that’s visible in all his activities. Norbert Schäfer isn’t a highly-strung star-photographer, but a perfectionist who demands the same attitude and quality from his professional partners as he does from himself. Indeed, he didn’t display the pictures on the walls of the Café Parisien without thought. Several weeks before the exhibition started, he created a virtual preview on the computer. Applying that kind of planning, Shepherd’s assistant Jana – the daughter of a German mother and Armenian father, who grew up on Mallorca – was able to show Isabel in advance how the exhibition would look. “In the same way, I don’t indifferently let the buyers of my works of art go away after they’ve given the cheque to me,” he emphasises. In his opinion, the customer should have the opportunity to see the picture’s visual effect in their own private space. “I don’t mind going to the buyer’s house myelf and installing the photography in the best place possible,” says Schäfer. 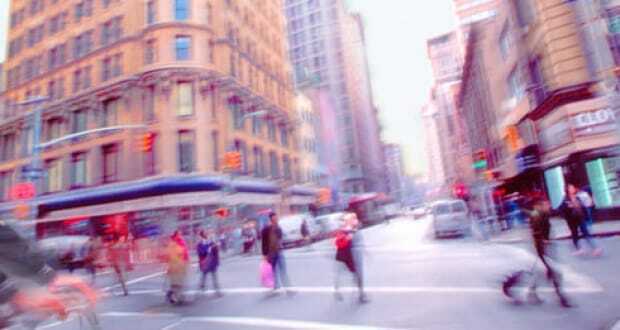 The photographs seem blurred. The artist makes them like this on purpose, using his individual style of artistic photography. 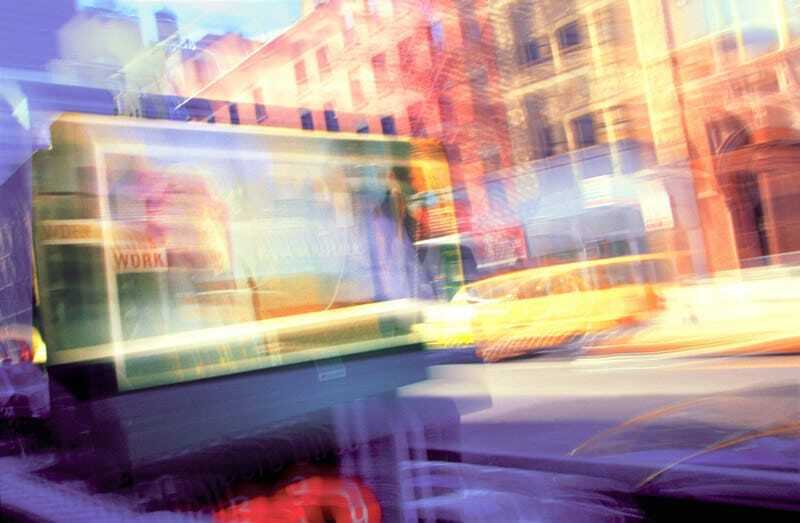 By modifying the camera’s exposure time, Shepherd achieves the visual result he calls “true seeing”. By this he means the idea that everybody experiences life like a motion picture. Thus, one’s perspective of watching things happen is similar to a person looking out of the window during a train journey. A single instant of this motion picture view seems blurred because it’s torn from a movement within time. Some of these sequences are so emotionally moving for people that they remain a lifetime in their memory. Schäfer pursues such magical moments: “We are allowed to see with our eyes. That’s a privilege. I’m able to see things others can’t and I try to catch these moments according to my own feelings.” As he believes perfection is only achievable within his individual experience, Shepherd usually refuses commissions – unless “someone can transport his world of visual experience to my mind”. Then, a common artistic creation may be possible. From now on, Mallorca will become more important for the 55-year-old – but young-minded, always attentive and sometimes pedantic – photographer. Besides the Australian city of Perth, and Ireland (“but only in summertime”), the main Balearic island is the third place on Earth that releases magical effects in him. These places have in common the closeness to the sea, that he loves so much. He found the same on the German island of Sylt, “in spite of the rough climate there,” he remarks. Mallorca pleases Norbert Schäfer “with its wonderfully warm and moderate weather during almost the whole year.” It takes him less than two hours by plane to enter an environment of calm, that “reminds you to be patient.” Patience is a quality he hadn’t appreciated too much in the past. He has always been a workaholic, who gets “crazy and fixed” when he holds the camera in his hands. Only this way did he feel able to satisfy his top customers’ quality demands. In the past, he has always tried to “force everything by myself”. Now, with the maturity of his years, he manages to “let more things happen”. Of course, that doesn’t mean total relaxation or passiveness. Above all the other advantages, the artist attributes his love of Mallorca to “the wonderful people” who welcome him “with an aura of optimism” – the perfect alternative to the hectic job in Düsseldorf. “I’m addicted to harmony,” he confesses. He would even like to speak Mallorcan to the locals, but “learning the language would probably take too long”. At least he knows the phrase for the Mallorcan philosophy of patience: “poc a poc” – little by little. 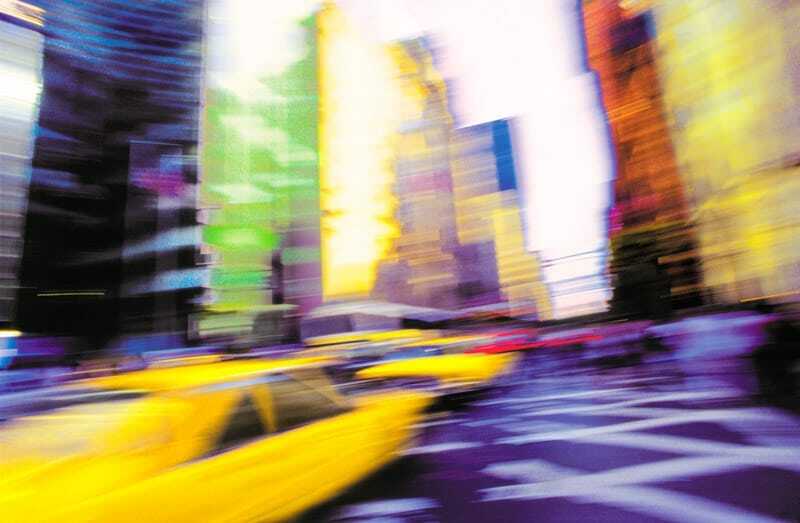 The photo art exhibition “New York” in the Cafe Parisien in the centre of Artá is open every day to the public (free entrance) until June 30, 2008. Schafer’s latest works of art will be on show in the clubhouse of Golf Canyamel until June 15, 2008. Buyers of Norbert Schafer’s art photos acquire high quality products. They are printed on a vinyl surface, but potential customers can request other materials. Prices range from 800 to 3,000 euros. We hope you have found this article about the Art in Mallorca useful and that you have many memorable stays in Mallorca as a result of our recommendations.